Rubin “Hurricane” Carter, a star prizefighter whose career was cut short by a murder conviction in New Jersey and who became an international cause célèbre while imprisoned for 19 years before the charges against him were dismissed, died on Sunday morning at his home in Toronto. He was 76. The cause of death was prostate cancer, his friend and onetime co-defendant, John Artis, said. Mr. Carter was being treated in Toronto, where he had founded a non-profit organization, Innocence International, to work to free prisoners it considered wrongly convicted. Mr. Carter was convicted twice on the same charges of fatally shooting two men and a woman in a Paterson, N.J., tavern in 1966. But both jury verdicts were overturned on different grounds of prosecutorial misconduct. The legal battles consumed scores of hearings involving recanted testimony, suppressed evidence, allegations of prosecutorial racial bias — Mr. Carter was black and the shooting victims were white — and a failed prosecution appeal to the United States Supreme Court to reinstate the convictions. 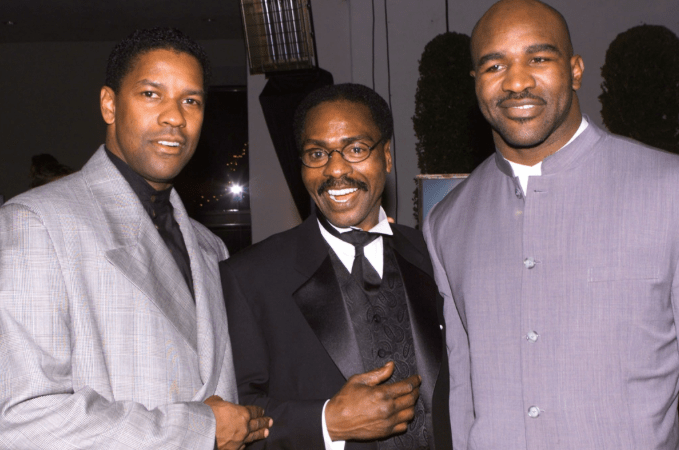 Denzel Washington was nominated for an Academy Award in 2000 for starring in “Hurricane”, a film about Carter’s fight for justice. Mr. Carter first became famous as a ferocious, charismatic, crowd-pleasing boxer who was known for his shaved head, goatee, glowering visage and devastating left hook. He narrowly lost a fight for the middleweight championship in 1964. He attracted worldwide attention during the roller-coaster campaign to clear his name of murder charges. Amnesty International described him as a “prisoner of conscience” whose human rights had been violated. He portrayed himself as a victim of injustice who had been framed because he spoke out for civil rights and against police brutality. A defense committee studded with entertainment, sports, civil rights and political personalities was organized. His cause entered pop music when Bob Dylan wrote and recorded the song “Hurricane,” which championed his innocence and vilified the police and prosecution witnesses. It became a Top 40 hit in 1976. The 1999 movie, directed by Norman Jewison, was widely criticized as simplistic and rife with historical inaccuracies. A more complex picture was provided in accounts by Mr. Carter’s relatives and supporters, and by Mr. Carter himself in his autobiography, “The 16th Round,” published in 1974 while he was in prison. He attracted supporters even when his legal plight seemed hopeless, but he also alienated many of them, including his first wife. With a formal education that ended in the eighth grade in a reform school, Mr. Carter survived imprisonment and frequent solitary confinement by becoming a voracious reader of law books and volumes of philosophy, history, metaphysics and religion. During his bleakest moments, he expressed confidence that he would one day be proved innocent. “They can incarcerate my body but never my mind,” he told The New York Times in 1977, shortly after his second conviction. Rubin Carter was born on May 6, 1937, in Clifton, N.J., and grew up nearby in Passaic and Paterson. His father, Lloyd, and his mother, Bertha, had moved there from Georgia. To support his wife and seven children, Lloyd Carter worked in a rubber factory and operated an ice-delivery service in the mornings. A deacon in the Baptist church, his father was also a disciplinarian. He put Rubin to work cutting and delivering ice at age 8, and when he learned that Rubin, at 9, and some other boys had stolen clothing from a Paterson store, he turned his son in to the police. Rubin was placed on two years’ probation. A poor student and troubled from the start, Rubin was placed in a school for unruly pupils when he was in the fourth grade. At 11, after stabbing a man, he was sent to the Jamesburg State Home for Boys (now called the New Jersey Training School for Boys). He said he had acted in self-defense after the man had made sexual advances and tried to throw him off a cliff. At Jamesburg, guards frequently beat and abused him, he wrote in his autobiography. After six years in detention he escaped and made his way to an aunt’s home in Philadelphia, where he enlisted in the Army. Recruitment officers apparently accepted his word that he had grown up in Philadelphia and made no inquiries in New Jersey, where he was wanted as a fugitive. He won 51 bouts, 35 by knockouts, while losing only five. He became the Army’s European light-welterweight champion. Mr. Carter also took speech therapy courses and overcame his stutter. He became interested in Islamic studies. Although he never formally converted, he sometimes used the Muslim name Saladin Abdullah Muhammad.Honorably discharged, he returned to Paterson in 1956 and took a job as a tractor-trailer driver. But the authorities tracked him down and arrested him for his escape from the reform school before he had joined the Army. He was sentenced to 10 months at the Annandale Reformatory for youthful offenders. Shortly after his release, in 1957, he was charged with snatching a woman’s purse and assaulting a man on a Paterson street. He said he had been drinking. He served four years in Trenton State Prison, where “quiet rage became my constant companion,” he wrote. He also rekindled his interest in boxing and attracted the attention of fight managers. Mr. Carter was an instant success and became a main-event headliner. With a powerful left hook, he was more of a puncher than a stylist, winning 13 of his first 21 fights by knockouts. Promoters capitalized on his criminal record as a box-office lure, suggesting that prison had transformed him into a terrifying fighter. One promoter nicknamed him Hurricane, describing him in advertisements as a raging, destructive force. Mr. Carter was a showman in the ring. Solidly built at 5-foot-8 and about 155 pounds, he would enter in a hooded black velvet robe trimmed with metallic gold thread, the image of a crouching black panther on the back. He also made sure he was noticed on the streets of Paterson, where he had returned to live. He dressed in custom-tailored suits and drove a black Cadillac Eldorado with “Rubin Hurricane Carter” engraved in silver letters on each side of the headlights. In 1963 he married Mae Thelma Basket. Mr. Carter’s biggest victory came in Pittsburgh in December 1963, when he knocked out Emile Griffith, the welterweight champion, who was trying to move into the middleweight division for a crack at its world title. A year later, at the peak of his career, Mr. Carter battled the reigning middleweight champion, Joey Giardello, for the title in Philadelphia, Mr. Giardello’s hometown. He lost a close decision. Mr. Carter received unfavorable attention when an article in The Saturday Evening Post in 1964 suggested that he was a black militant who believed that blacks should shoot at the police if they felt they were being victimized. He denied he had expressed that view. It was around this time that the police began harassing him, he said. One night, when his Cadillac broke down in Hackensack, he was jailed for several hours without being charged with a crime. Before bouts, the police compelled him to be fingerprinted and photographed for their files on the ground that he was a convicted felon. He discovered that the Federal Bureau of Investigation had opened a file on him and was tracking his movements. On the night of June 16 and the early morning of June 17, 1966, while his wife and their 2-year-old daughter, Theodora, were at home, Mr. Carter visited several bars in Paterson, winding up at one called the Night Spot. A half-mile away, about 2:30 a.m., two black men entered the Lafayette Grill and killed two white men and a white woman in a barrage of shotgun and pistol blasts. The police immediately suspected that the shootings were in retaliation for the shotgun murder that night in Paterson of a black tavern owner by the former owner, who was white. Mr. Carter had encountered John Artis, a casual acquaintance, that night and was giving him a lift home when they were stopped by the police. They said Mr. Carter’s leased white Dodge sedan resembled the murderers’ getaway car. Except for being black, neither Mr. Carter nor Mr. Artis matched the original descriptions of the killers. They were released after both passed lie detector tests and a patron who had been wounded in the Lafayette Grill failed to identify them. But they remained under suspicion. On Aug. 6, 1966, in Rosario, Argentina, Mr. Carter lost a 10-round decision to Rocky Rivero. It was his last fight. His record would remain 27 wins (20 by knockout), 12 losses and one draw. Two months later, he and Mr. Artis were charged with the three murders. At their trial in 1967, three alibi witnesses placed them elsewhere at the time of the killings. They were nonetheless convicted, primarily on the evidence of Alfred P. Bello and Arthur D. Bradley, two white prosecution witnesses with long criminal records. Mr. Bello testified that he saw both defendants leave the tavern with guns in their hands; Mr. Bradley identified only Mr. Carter. Both witnesses admitted that they were in the vicinity of the Lafayette Grill at the time of the murders because they were trying to burglarize a factory nearby. The prosecution offered no motive for the slayings. Facing the possibility of death sentences, Mr. Carter received 30 years to life and Mr. Artis 15 years to life. Their appeals were denied unanimously by the New Jersey Supreme Court. Back in prison, a defiant Mr. Carter refused to wear a uniform or work at institutional jobs. He ate in his cell, sustained by canned food and soup that he heated with an electric coil. He scoured the trial record and law books and typed out unsuccessful briefs for a new trial. Mr. Carter also lost his vision in his right eye after an operation on a detached retina, a condition he attributed to inadequate treatment in a prison hospital. His celebrity boxing background and his outspoken contempt for prison rules made him a hero to many inmates. The prison authorities credited him with trying to calm down rioters at Rahway State Prison in 1971, and one prison guard reportedly said Mr. Carter had saved his life. By 1974, Mr. Carter’s prospects for a new trial seemed hopeless. But that summer the New Jersey Public Defender’s Office and The New York Times independently obtained recantations from Mr. Bello and Mr. Bradley. Both men asserted that detectives had pressured them into falsely identifying Mr. Carter and Mr. Artis. Moreover, it was revealed that the prosecution had secretly promised leniency to the two witnesses regarding their own crimes in exchange for their cooperation in the Carter case. Based on the recantations and the new information, the New Jersey Supreme Court overturned the guilty verdicts in 1976. Overnight, Mr. Carter was hailed as a civil rights champion, with a national defense committee working on his behalf and fund-raising concerts headlined by Mr. Dylan at Madison Square Garden and the Houston Astrodome; the Garden concert also included Joni Mitchell, Joan Baez and Roberta Flack. Muhammad Ali attended a pretrial hearing in Paterson in 1976 to show his support for Mr. Carter. At a second trial, in December 1976, a new team of Passaic County prosecutors resuscitated an old theory, charging that the defendants had committed the Lafayette Grill murders to exact revenge for the earlier killing of the black tavern owner. Mr. Bello resurfaced as a prosecution witness and recanted his recantation. He was the only witness who placed Mr. Carter and Mr. Artis at the murder scene. After being free for nine months on bail, Mr. Carter and Mr. Artis were sent back to prison and deserted by most of the show business and civil rights figures who had flocked to their cause. Mr. Carter’s second child, a son, Raheem Rubin, was born six days after the two men were found guilty. Over the next nine years, numerous appeals in New Jersey courts failed. But when the issues were heard for the first time in a federal court, in 1985, Judge H. Lee Sarokin of United States District Court in Newark overturned the convictions on constitutional grounds. He ruled that prosecutors had “fatally infected the trial” by resorting, without evidence, to the racial revenge theory, and that they had withheld evidence disproving Mr. Bello’s identifications. Mr. Carter was freed; Mr. Artis had been released on parole in 1981. When the prosecution’s attempts to reinstate the convictions were rejected by a federal appeals court and by the Supreme Court, the charges against Mr. Carter and Mr. Artis were formally dismissed in 1988, 22 years after the original indictments. During his second imprisonment in the case his wife had sued for divorce, after learning that he had had an affair with a supporter while he was free on bail awaiting trial. Information about his survivors could not immediately be learned. On his final release from prison, Mr. Carter — with a full crop of curly hair, clean-shaven and wearing thick eyeglasses — moved to Toronto, where he lived with a secretive Canadian commune and married the head of it, Lisa Peters. He ended relations with her and the commune in the mid-1990s. He founded Innocence International in 2004 and lectured about inequities in America’s criminal justice system. His former co-defendant, Mr. Artis, joined the organization. In 2011 he published an autobiography, “Eye of the Hurricane: My Path From Darkness to Freedom,” written with Ken Klonsky and with a foreword by Nelson Mandela. In his last weeks he campaigned for the exoneration of David McCallum, a Brooklyn man who has been in prison since 1985 on murder charges. In an opinion article published by The Daily News on Feb. 21, 2014, headlined “Hurricane Carter’s Dying Wish,” he asked that Mr. McCallum “be granted a full hearing” by Brooklyn’s new district attorney, Kenneth P. Thompson. “Just as my own verdict ‘was predicated on racism rather than reason and on concealment rather than disclosure,’ as Sarokin wrote, so too was McCallum’s,” Mr. Carter wrote. He added: “If I find a heaven after this life, I’ll be quite surprised. In my own years on this planet, though, I lived in hell for the first 49 years, and have been in heaven for the past 28 years. article by Selwyn Raab via nytimes.com; Emma G. Fitzsimmons contributed reporting. GBN Wishes You and Yours A Very Happy Easter!